To celebrate Mother’s Day this weekend I am sharing with you a beautiful Mother’s Day Free Printable. I am always struggling with the perfect Mother’s Day gift, and I love that a printable can be the perfect gift idea. My mom means the world to me, and I am sure your mom does to you. In order to celebrate the love we all share for our moms, I am sharing this beautiful free printable. This Mother’s Day surprise your mom with this gorgeous Mother’s Day Free Printable. You can do so many different things with free printables, and one of my favorites is to gift them with a beautiful picture frame. As we all know, mom’s can never have too many picture frames! Another idea is to create your own personalized photo album and download this free printable to place at the beginning. This Mother’s Day we are looking forward to celebrating with mom. 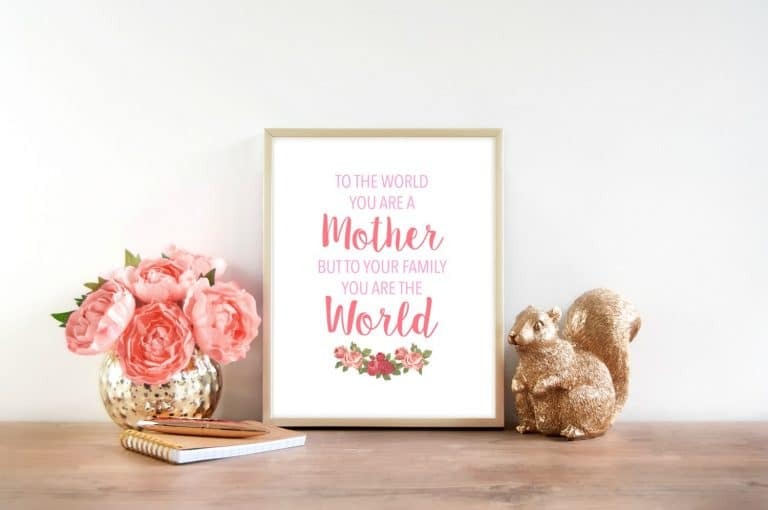 If you are looking for something unique and fun, download this beautiful 8 x 10 free printable just for your mom. I hope you all have a blessed and beautiful Mother’s Day, and I hope you enjoy this free printable.